Seventeen-year-old Florence Waverley is out of her depth. Literally. Kidnapped and taken below the waves to the mer world of Niemela, she is the ultimate gift for merman Prince Kiren: a human familiar tied to his side. But nothing is what it seems amid the beauty and danger of a dark ocean. Every Niemelan has a role to play, from the mermaids who weave towers out of kelp to the warriors who fight sea monsters. 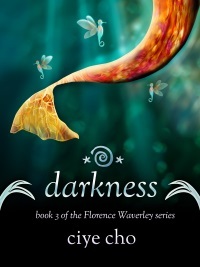 But in trying to survive, Florence will end up in the middle of a war between the mer and the Darkness. A conflict that will push her between two brothers: Kiren, the charmer inexplicably drawn to both her and the monsters; and Rolan, the loner who has been pushing her away since the day they met. But in order to take a stand--and find out where she belongs--Florence will have to risk it all: her life, her heart... and her very soul. Being the only human in a world of merfolk... isn't easy. Florence Waverley chose to stay in Niemela, but things have gone awry. Secrets have risen and the prince she cares about has pulled away. All the while, dark dreams warn her of a tragedy that only she can stop. But in order to save the merman she loves, Florence will have to enter the Life Path tournament: a brutal test of fear and madness. The tournament is a rite of passage--a maze where young mermaids and mermen battle to find their purpose. It is also a place where Florence will face grave danger: mermaids with evil magic, tunnels filled with sea fire, and guardians who wish to use her as a pawn in their secret plans. 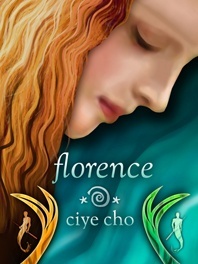 But will Florence be strong enough to survive the tournament... or will she perish inside it? Everything hangs in the balance: her life, her world, and her love. A dire prophecy has emerged, and the mer believe that humans and merfolk are in grave danger. Terror is closing in, but only one person holds the key to stopping it: Florence Waverley. However, her mission to save two worlds will lead her far, far out into the Darkness--a shadow-realm full of monsters, magic, and wicked tides that could tear apart bodies. 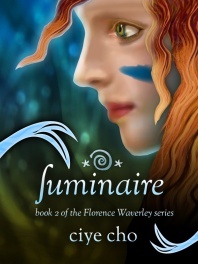 With the help of her friends, Florry must uncover a secret about humans and mer. A long-lost secret that could change her life. And above all else, she must fight hard to light the darkness. Everything depends on her mission: her friends, her world, and the one she loves. © 2013 by Ciye Cho. All rights reserved.